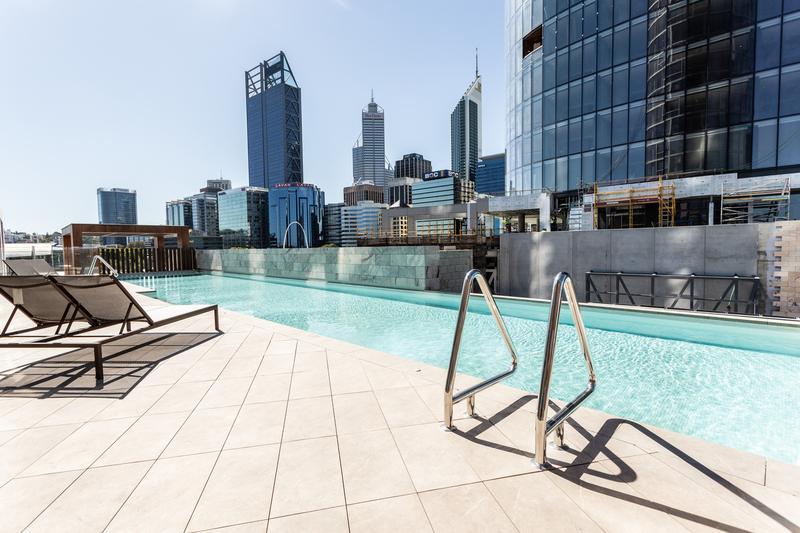 Residents will start moving into Far East Consortium’s premium apartments project The Towers at Elizabeth Quay before the end of the month, with the Hong Kong-headquartered developer shifting focus to its Perth Hub at Perth City Link as its Ritz-Carlton Hotel also nears completion. Far East Consortium’s building partner, tier one contractor Probuild, achieved practical completion at The Towers earlier this month, paving the way for titles to be issued and settlements to occur from March 21. Construction and fitout works at the Ritz-Carlton are expected to be complete by August, allowing for a September opening. PRD Nationwide WA managing director Angus Murray, who has been appointed to handle sales and marketing for Far East Consortium’s WA operations, said just 17 of the 275 apartments on offer at the building were left to sell, with more than 80 per cent of dwellings sold going to local owner-occupiers. “The pricing has remained identical from the first day through to the last day,” he said. “There has not been a single discount, furniture package or rental guarantee given. 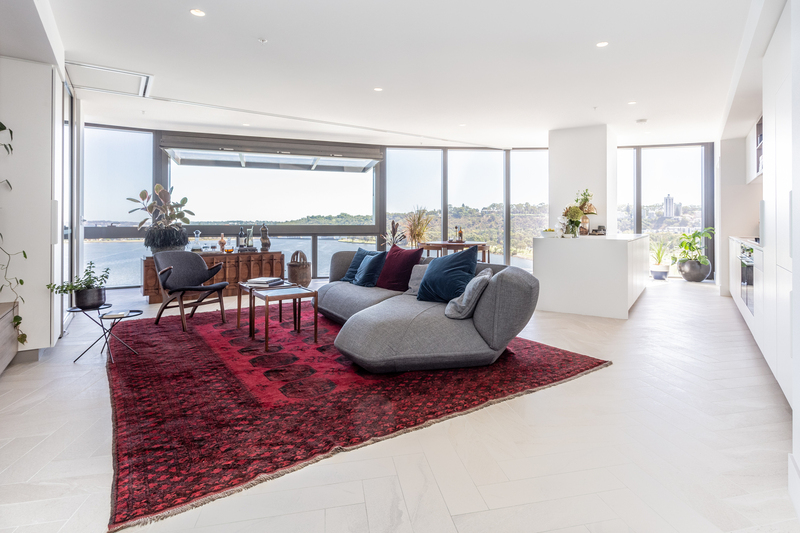 Mr Murray said the strength of Far East Consortium’s balance sheet, and its national development pipeline worth around $8 billion, were a factor in the project’s success in a patchy Perth apartments market. “We launched against Civic Heart and Waterbank, and neither of those projects happened,” Mr Murray told Business News. “We’re at 94 per cent sold now, so I think people were happy to pay the premium for the views, the location and the architecture. 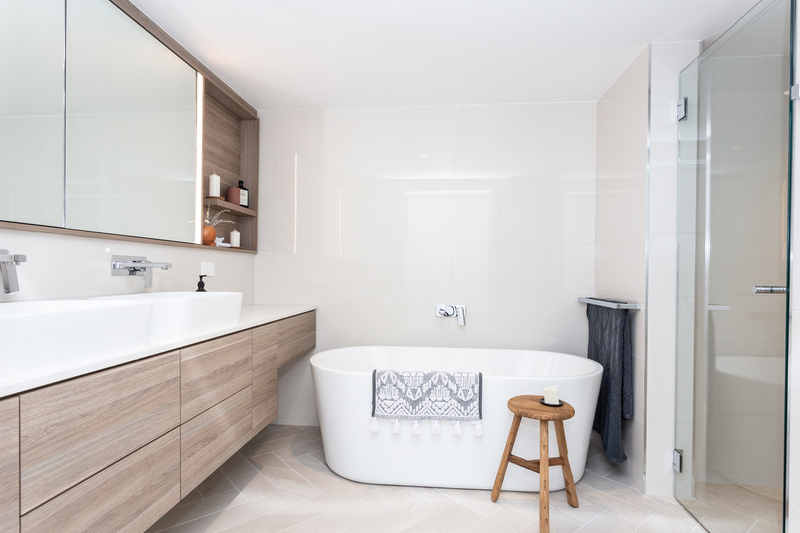 Mr Murray said from launch, Far East Consortium had promised to raise the bar in Perth’s apartments market with The Towers, capitalising on its unique location by developing an all-glass façade rather than the concrete and glass construction typical of Perth apartment developments. It is an approach to development that Far East Consortium has cultivated throughout its history in Hong Kong and mainland China, as well as its east coast Australian operations. 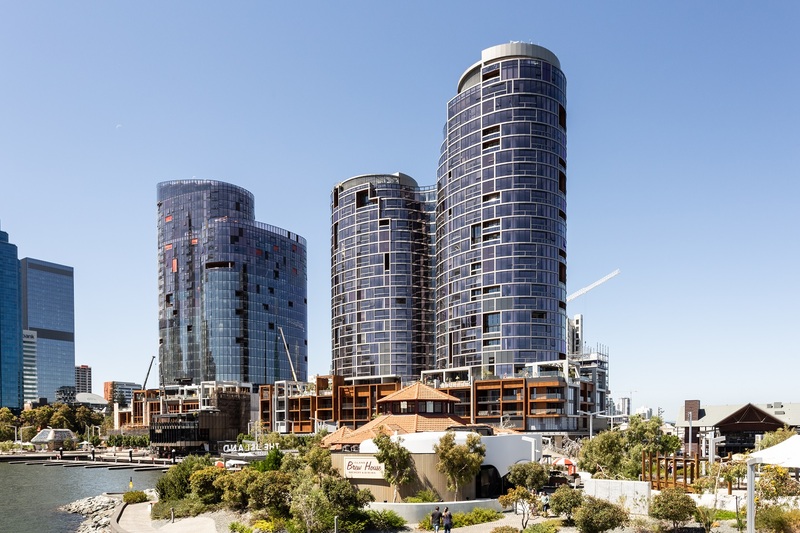 In Melbourne, Far East Consortium’s flagship Australian project, West Side Place, comprises more than 3,000 apartments alongside a Ritz Carlton and a Dorsett Hotel, with four towers of between 65 and 80 storeys being built simultaneously, also by Probuild. “If you look at the east coast, the most successful buildings are all glass towers,” Mr Murray said. “If you want to live in a four-storey building, it’s not about view. But if you want to live in a 30-storey building, it’s all about view, and you don’t get views by building a concrete building with windows. “You get views by building a glass building where you have floor-to-ceiling outlooks. Far East Consortium is wasting no time in progressing its next project, the first phase of Perth Hub, which was launched for sale in October. Mr Murray said more than 120 apartments had been sold at Perth Hub, with Far East Consortium expecting to start construction on an apartment tower and a Dorsett Hotel by the middle of the year. The developer is also evaluating plans for the next phases of construction at Perth City Link, where it holds five large plots. “What they are going to do at City Link is going to be a much bigger project than what Far East has done at Elizabeth Quay,” Mr Murray said. “At Elizabeth Quay, Far East is part of a much bigger puzzle, but at Perth City Link, with Perth Hub, Far East has got half the puzzle, so they are going to do a lot of work on the retail side of things through Perth hub. “The plan is to do a residential building each year. “The plans haven’t been determined yet; some of the lots are between 5,000 and 6,000 square metres, so whether they do one large tower or a couple of small ones, these things are under review. 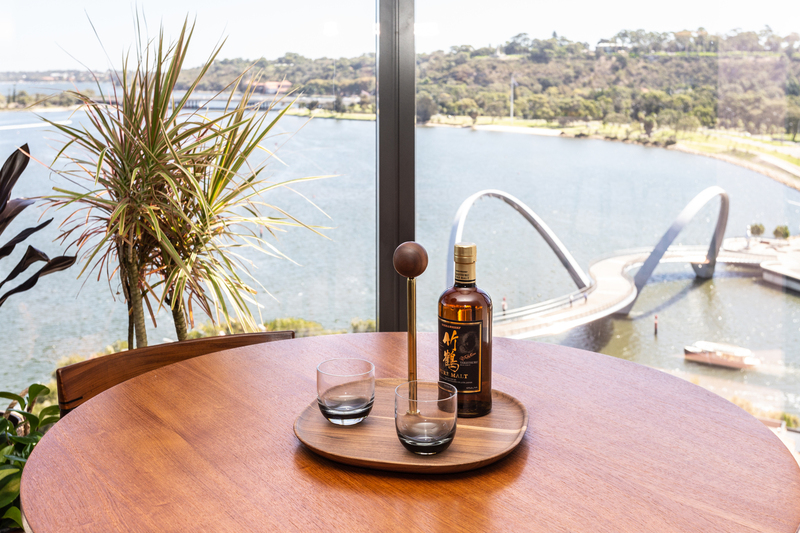 Mr Murray said Far East Consortium was also seeking further opportunities for development in Perth, with chairman David Chiu a strong believer in the fundamentals behind the WA property market. “It’s a high priority; they believe that land here is reasonably affordable,” Mr Murray told Business News. 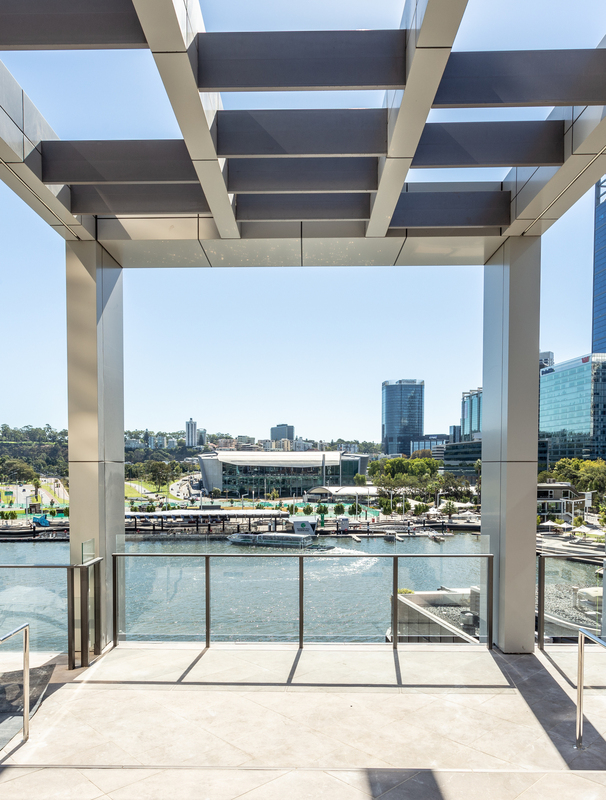 “Far East’s feeling really is that the western end of the city is going to be the place where people will want to live, with Northbridge, City Link, Elizabeth Quay, Kings Park, Yagan Square, the train stations, bus terminals, cinemas, bars, restaurant – there are a lot of benefits to being at this end of the city. “In WA we say we are different, but in actual fact we are the same as the east coast, we just follow a little behind. “The whole inner-city living trend is following behind the east coast and we can learn from the mistakes that they’ve made and we can learn from the things that have really worked.